It appears that LastPass was hit with a trademark lawsuit about its logo last year. It’s not the full logo that’s confusing though, it’s the small one that will appear on the browser extension and different apps. Say goodbye to the big white asterisk inside the red box and hello to the dots and bar, alone. That’s sure to be redundant inside any password text entry box you’ll run across. 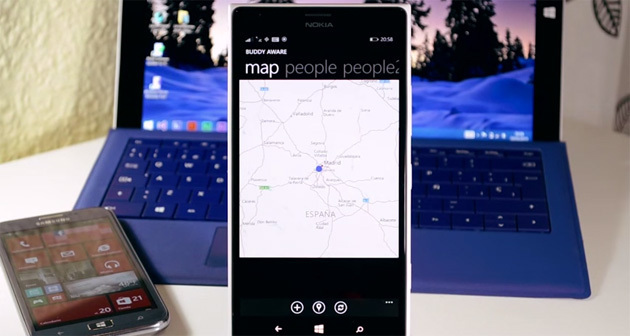 According to Spanish-language site Microsoft Place, the company is in the process of developing an app called People Sense, which looks to deeply integrate Bing Maps with messaging and calling features. Currently in the development stage, People Sense, codenamed Buddy Aware will allow you to share your location in real time with contacts stored on your agenda. The basic concept is familiar if you’ve seen Apple’s Find My Friends, but there’s a stronger emphasis on reaching out — you can call or message contacts in-app, and even get directions if you’d like to meet face to face. In addition to providing real-time location info for the people you follow, it will give detailed directions to contacts’ locations and also have calling and messaging baked right in. By the looks of it, the only thing it lacks is notifications for when friends are nearby, though more features might be on the way. Share your location in real time with your contacts. Integrated messaging and calling application. Integration with navigation applications step by step drawing paths to your contacts. The application is currently not available in the store . You must wait a little longer to enjoy it. 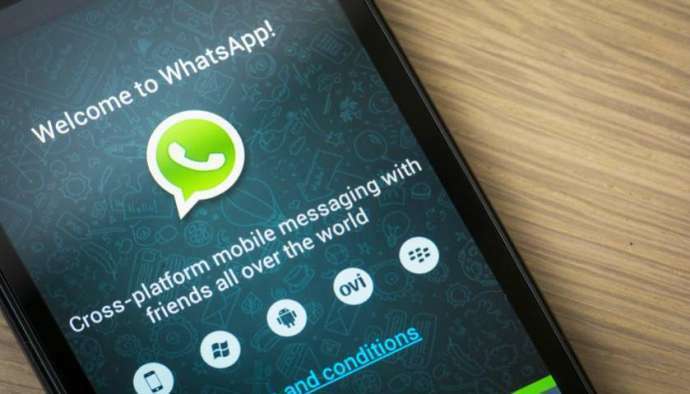 A few weeks ago, WhatsApp began rolling out calling through their app to a few users. No one really knew how to get it activated on their phone and keeping it activated. This meant that initial testers were able to extend it to their friends who further helped other WhatsApp users join the club. However, this invite system is not working for all users. It appears that today, WhatsApp has begun rolling out calling to everyone now. WhatsApp has flipped a few switches to get it going today, as there’s no new update here, and it works on version 2.11.528. According to Android Police, a friend with WhatsApp Calling enabled has to call you to get it to trigger. As that’s how they got the functionality enabled. While it may be annoying, but it is a good way to have a slow rollout and make sure this feature doesn’t kill their servers. WhatsApp has calls in its dedicated tab now. So you have Calls, Chats, and Contacts. So you are able to see your call log, your chats with various contacts, and then your contacts on WhatsApp. All from that “home screen”. Which is definitely nice to have. If you tap on the contacts picture, you’ll get a bigger picture along with the option to call chat, or view their information. Kinda similar to the Contacts app in Android. WhatsApp hasn’t officially announced the roll-out but with the number of devices supporting the feature, we can anticipate an announcement any time soon. While calling feature is available with WhatsApp Version 2.11.528, it is buggy. For the better experience, use the Version 2.11.531, which is available directly from WhatsApp website. 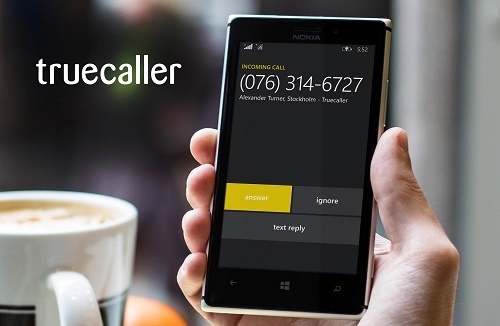 Truecaller, which allows smartphone owners to see who is calling them, has been available for Windows Phone owners for some time. Today, a new update for the app has been released specifically for Windows Phone 8.1 users that adds real-time Caller ID features. Say’s Mikael Stendahl, Head of Partner & Developer Relations at Microsoft. Truecaller worked in partnership with Microsoft to add this new feature in their app. Blackberry rolls out BBM for Windows Phone, retains the native user experience and modern design of the Windows UI. BlackBerry has now made its BlackBerry Messenger available for all users on the Windows phone platform. The messaging app is open to Windows Phone 8 and higher.Blackberry had unveiled BBM for Windows Phone last month, stating that the app was open for testing and user feedback. The Canadian handset maker added that the release focused more on Chats, Contacts and Feeds within the app, but will be adding more features in future updates. You can download BBM for Windows Phone from Windows Phone store. Author Uday VaswaniLeave a comment on BBM Beta now available for Windows Phone. It was teased at Build 2014 and is now finally available. 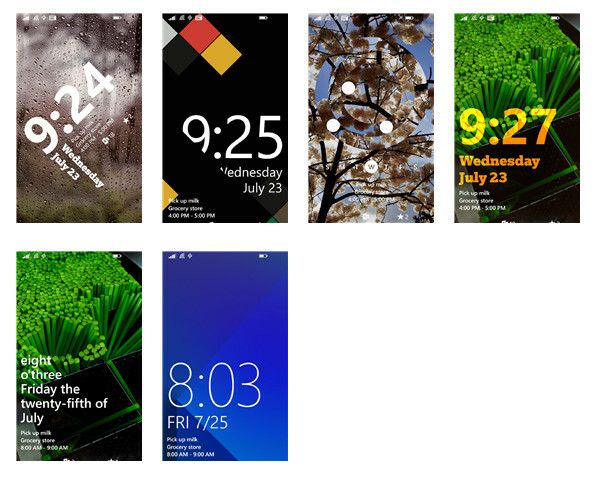 Windows Phone 8.1 users can now download the Live Lock Screen BETA app to spruce up their Lock screens. One of the coolest features that was shown off at Build 2014 for Windows Phone 8.1, besides Cortana, was the lock-screen app that allows you to change up the lock-screen animation on your phone. Today, we are happy to report that the app is finally available for download. The app will give Windows Phone users one more layer of customization and truly make your device personal. Microsoft has always said that Windows Phone is the most personal device on the market, and this app is one more addition to prove their point. You can download the app from the source link below, but know that the app is still in beta, so there may be a few bugs here and there. Additionally, users are reporting that the app is working on phones with 512MB of RAM even though Microsoft said that it would require 1 GB of RAM. If you do download the app, let us know your experience with it. For us, we are noticing a slight delay between the unlock and getting access to our start screen. Hopefully this delay will be worked-out once the app leaves the beta stage.